PCIe Screamer R02 is a revised version of our successful PCIe Screamer. Most notably PCIe lanes routing has been improved with better differential pairs impedance and length matching resulting in a better PCIe signal stability. Existing software and gateware are fully compatible with this new PCIe Screamer R02 version. PCIe is the main high speed way of communicating between a processor and its peripherals. It is used in PC (also encapsulated in Thunderbolt) and now even in mobile phones. Doing security research on a PCIe system is complex because it requires expensive tools (>$50k) and such tools are not that common when packet generation is needed. 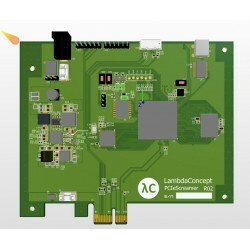 PCIeScreamer provides a such tool at a more reasonable price. We recommend you to get the JtagSerial pack in order to program it. Currently, only few attacks were made on PCIe devices. Most of them were done using a Microblaze inside a Xilinx FPGA to send/receive the TLPs, making it hard to really analyze. (Using embedded C software to generate/analyze traffic) An other way is to use USB3380 chip, but it is also not flexible enough (only supporting 32bits addressing) and does not allow debugging the PCIe state machine. 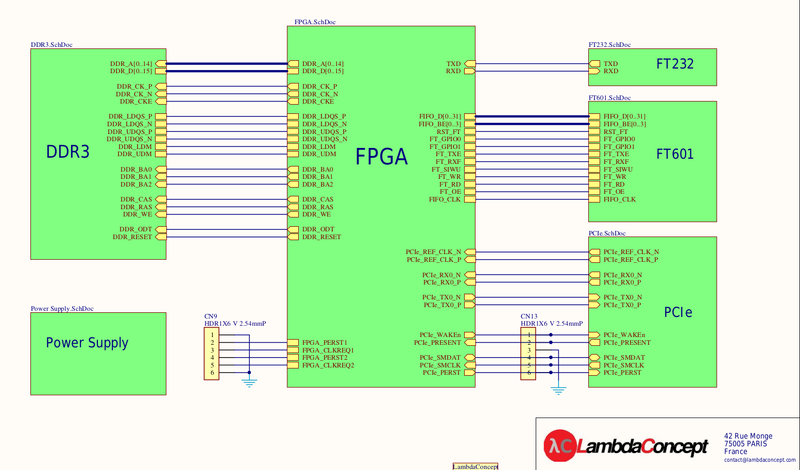 The PCIe injector is based on a Series 7 Xilinx FPGA connected to a DDR3 and a high speed USB 3.0 FT601 chip from FTDI. Having a full control of the PCIe core.